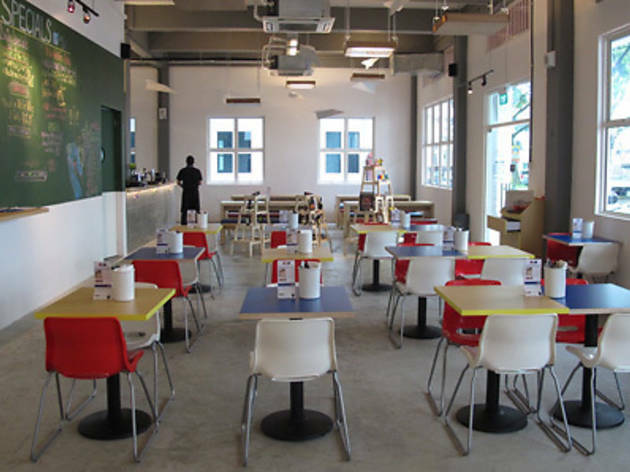 One of two eateries at the new Aliwal Arts Centre together with Eatplaylove Café, A for Arbite is the offshoot of two-year-old Arbite in Serangoon Gardens. Chef-owner Marc Wee has expanded his menu options at this simple, almost minimalistic 64-seater where the focus has shifted to food-beer pairings. With five Belgian craft beers on tap – Estaminet ($10), Palm ($12), Steenbrugge Double Brown ($14), Steenbrugge Tripel ($14) and Lindemans Fruit ($10) – you’ll be able to savour some interesting combinations featuring a couple of Arbite signatures such as the tri pepper spaghettini with soft shell crab ($12.90) and a mini-version of the truffle beef burger, topped with a quail egg ($15.90), as well as new fusion creations like the scotched egg wrapped in minced bacon and served with yuzu and wasabi hollandaise ($7.90). Save room for dessert – the refreshing Edith’s Mess ($9) is a medley of crumbled meringue, fresh fruits and a palate-cleansing passion fruit jelly. 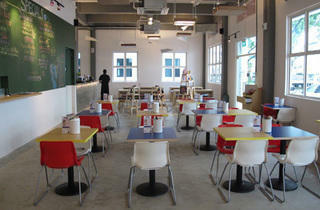 Tue-Fri 11.30am-2.30pm, 5pm-11pm; Sat 11am-11pm; Sun 9am-9pm.